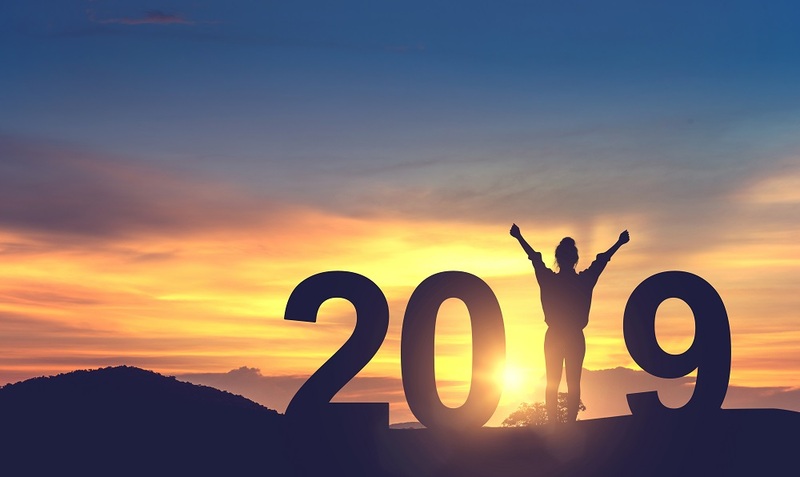 5 News Years Resolutions that will help small business owners smash 2019! The new year is well and truly upon us and among the classic new year fitness fanatics, we have the parents who are determined to be more “mindful” in their school holiday activities and the Instagram addicts who have sworn off spending every waking minute adding to their stories in the new year. Yes, the new year really brings out the best in everyone. The new year doesn’t have to be filled with unachievable New Year’s resolutions – take this time to take stock of your epic 2018 achievements and put together some resolutions for dominating your market in 2019. We’ve made this easy for you with our list of five new year’s resolutions every small business owner should be making. They aren’t going to turn you into Bill Gates overnight, but they’ll put you on the right track to grow and improve your business in 2019. Automation can be an intimidating process, particularly if you’ve never done it before – but it doesn’t have to be. Think about five different things you do on a weekly basis that could be automated. Perhaps you’re sending follow up emails based on a calendar or maybe you’re entering email addresses into your database manually. Is there something you know you should be doing, but aren’t because it’s a bit too hard? Maybe it’s as small as doing manual bank transfers instead of setting up direct debits. It doesn’t have to be revolutionary, and it may take a few hours to find the right product to get the job done right, but take an afternoon to focus on finding the right automation tool to help you streamline your working process. Honestly, take an afternoon to look at the weak spots in your business and find a tool to bridge the gap – future you will be grateful! Think about some of the best brands you know (Nike, Apple, ASOS) – they usually have one thing in common: brand equity. Brand equity happens through a whole heap of hard work, networking, and getting your name out there (through paid and organic means). Perhaps it’s time to look at sponsoring some events or sports teams or attending relevant business events to build your personal and professional reputation. Every time your business interacts with someone, you are building your brand’s reputation and that can be the difference between business growth and treading water. Building your brand’s reputation is not an overly complex task – but it does require some investment of your time. 1.Get involved with your community by sponsoring events, teams, offering to talk at events or anything that involves your face or logo in front of eyes. 2. Improve your online presence – whether it be on Facebook, online directories or third party review sites, you need to be on it. People need to know your business exists no matter where they are on the sales cycle. 3. Improve your customer service – if someone leaves a review, you need to respond to it ASAP (no matter whether it’s good or bad). Prevention is better than a cure, so make customer service a priority in 2019! 4. Deliver a fantastic customer experience – this goes beyond customer service or a swanky website – it’s the whole experience. The moment a lead comes to your site, or calls you, you need to help them find what they need and deliver on your promises. Maybe this means changing your postage boxes to be 100% recyclable in line with your branding, or writing hand-written thank you notes to emphasise the personal nature of your business. Almost every online business owner knows something about SEO in 2019. After all, it’s critical to running a business (no matter whether you sell online or in stores). In 2019, do yourself a favour and learn a bit more about SEO. It’s worth investing a few hours a week in improving your technical and onsite SEO, and getting more content on the website. Your end goal? Win more customers. If your customer can’t filter products on your site to find their size – you have a problem. If your customer can’t easily get in touch with customer service – you have a problem. If your website’s font is too small for your customers to read – you have a problem. If you have a bunch of dead pages on your site (404 errors) – you have a huge problem. SEO is much more comprehensive than just adding some more content to your site – you need to ensure your website is well designed and creates an optimal experience for your customers. They need to be able to find the information they need immediately. This is the difference between a sale and a customer who leaves your site after two seconds of scanning their screen. 5.Optimising your Google My Business Listing and directory presence (so you can be found easily by your customers no matter where they are). Gain more visibility, win more customers and beat your competition to the sale – doesn’t sound like a bad 2019 at all now, does it? In a similar vein to automation – you need to realise your time, skillset and experience is valuable. Too valuable to be wasted doing menial tasks. If your business is growing, consider bringing someone on to help relieve the workload. Maybe you need someone to help with packing (a great part time job for a teenager or school-leaver), or potentially need someone to help with the social media side of things (look at communication and media uni students!) No matter where the gaps are, you can find someone to help. Even look at Fiverr or Upwork to find someone to help you with the day to day admin of the job. Part-time work is gaining in popularity, so capitalise on this and hire a part-timer to make your life easier. Value the time you have and spend it wisely – invest in others to help you keep the business going while you work on actively growing the business and focusing on the things that matter most. You (and your business) are only limited by what you know. Here at Transdirect, we’re all about learning more, which is why we’ve already compiled a blog chock-full of books and articles to get you started on your way to enlightenment. You don’t even need to focus on business books if that’s not your jam – there’s plenty of life lessons to be learnt by picking up an autobiography, true crime novel or fantasy story. Need some help picking a good book? Try Goodreads – they’ll help you discover a book based on your interests (plus you can record how many books you’ve read). Even if it’s not a business or self-improvement book, reading has many benefits – take some time and practice a bit of self-care and education in 2019, yeah? Try podcasts! They’re handy for long distance commutes, train trips or when you need to drown out the sound of your children fighting in the background. Investing some time in improving your mind, emotional intelligence and vocabulary will set you up for a fantastic 2019 – just grab a book and get started! If 2019 truly is the year of improving your business on all angles, why don’t you revise all areas of your business? Take a look at how much you’re spending on your shipping costs – if they are eating into your profit margin take a look at our shipping calculator – it’s a perfect opportunity to see how you can save big money by teaming up with us! Learn more by downloading our ebook today.